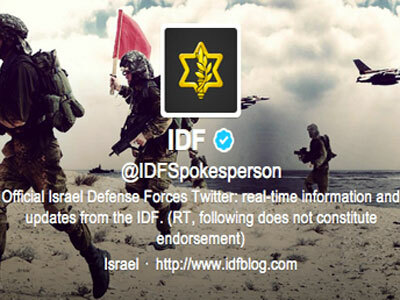 The Israeli Defense Force (IDF) blog was one of many websites hacked by Anonymous. The Israeli government has become a victim of cyber-warfare attacks since Operation Pillar of Defense began four days ago. On Saturday, hacktivist group Anonymous launched a massive attack on over 700 Israeli websites. Over the past four days, Israel has “deflected 44 million cyber-attacks on government websites,” Israeli Finance Minister Yuval Steinitz told AP. Steinitz said the government has come up with a backup for “essential websites,” should they be taken down by hackers. "This is an unprecedented attack, and our success has been greater than we anticipated," he said. He did not say who was responsible for the hacking attempts. He also declined to disclose which countries the attacks were coming from. 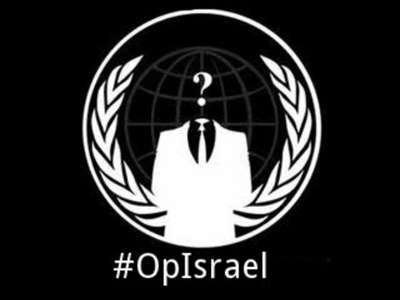 His comments come just one day after hacktivist group Anonymous launched a massive attack on almost 700 Israeli websites, calling the campaign #OpIsrael. 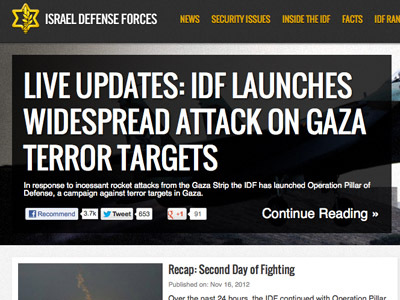 The group took down the Israeli president’s official website and the blog of the country's Defense Force, www.idfblog.com. The collective posted the news on Twitter using their infamous #TANGO DOWN hashtag. The blog is still down. It also attacked the website of the Israeli Foreign Ministry’s international development program, in a protest against an alleged Israeli threat to cut the Gaza Strip’s internet connections. Other targeted sites include those belonging to the Kadima party, the Bank of Jerusalem, and Tel Aviv Municipality. All of the websites continue to be shut down. Most of the sites are simply unavailable, but others display pro-Palestinian images and messages. 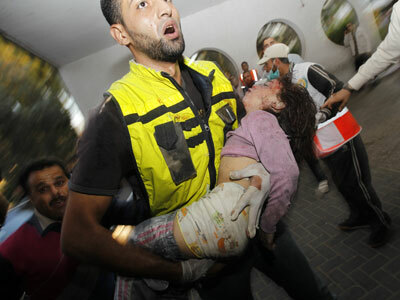 A message on one website read, “This attack is in response to the injustice against the Palestinian people." 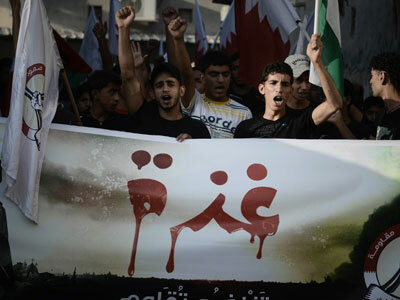 Both sides of the conflict are using social networking sites to influence public opinion as the death toll from the violence continues to rise. 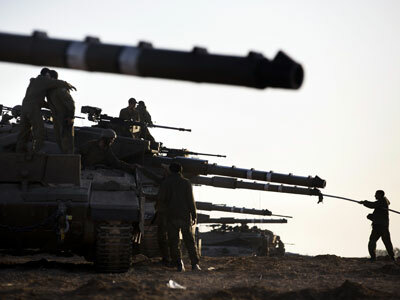 Sixty-five Palestinians – including at least 13 children – have been killed over the course of five days. The Israeli government has fully embraced social networking sites – including Twitter, Facebook, Youtube, and Instagram. The news about the Jabari assassination was announced on Twitter before it was announced to the media.